Click here to download a free PDF of these commandments. Creating your first book might seem like a daunting task at first glance. But by devoting some time and effort to it, you should be able to fearlessly create a quality book that can provide an ongoing stream of income. 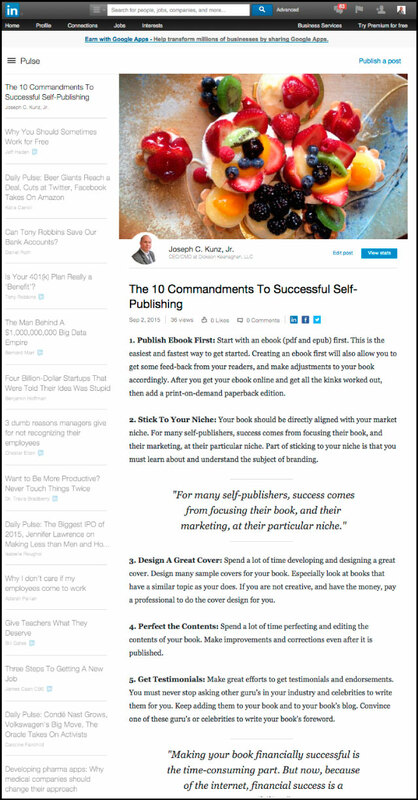 Keep these ten commandments in mind while you begin to develop your first book, and you will be well on your way to creating a financially successful self-published book. There are now so many companies on the internet devoted to helping you publish your first book. Most will cost you a substantial amount of time and money. But by doing your own research about how to self-publish your own book, you should not have any trouble making a quality book that sells on the major book-retailer websites. 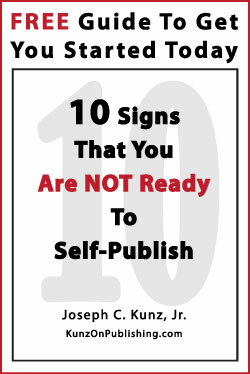 So, with that said, here is my list of the ten fundamental truths of self-publishing to help alleviate your first-timer fears about self-publishing. These commandments should help you avoid wasting time and money on your way to publishing your first book. Commandment #1. Publish Ebook First: Start with an ebook (pdf, epub, kindle) first. This is the easiest and fastest way to get started. Creating an ebook first (with companies like SmashWords and Scribd) will also allow you to get some feed-back from your readers, and make adjustments to your book accordingly. After you get your ebook online and get all the kinks worked out, then add a print-on-demand paperback edition. Commandment #2. Stick To Your Niche: Your book should be directly aligned with your market niche. 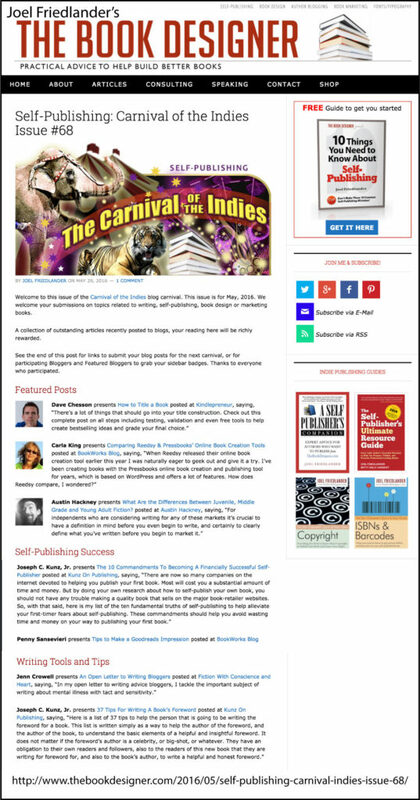 For many self-publishers, success comes from focusing their book, and their marketing, at their particular niche. Part of sticking to your niche is that you must learn about and understand the subject of branding. Commandment #3. Design A Great Cover: Spend a lot of time developing and designing a great cover. Design several sample covers for your book. Especially look at books that have a similar topic as your does. If you are not creative, and have the money, pay a professional to do the cover design for you (that you can find at a website like 99Designs). Commandment #4. 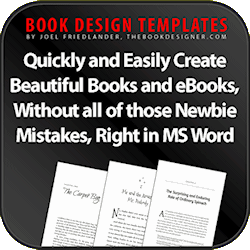 Perfect The Contents: Spend a lot of time perfecting and editing the contents of your ebook. Make improvements and corrections even after it is published. Having grammar and spelling mistakes will make you look amateurish. Commandment #5. 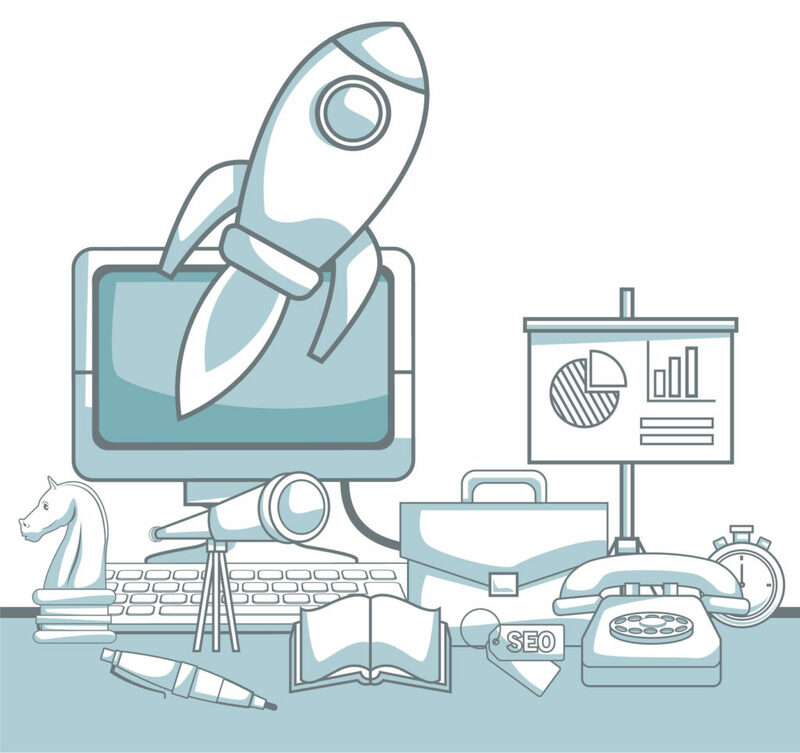 Get Testimonials: Make great efforts to get testimonials and endorsements. You must never stop asking other guru’s, celebrities, and readers to write them for you. Keep adding them to your book and to your book’s blog. 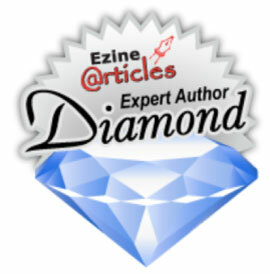 Convince one of these guru’s or celebrities to write your book’s foreword. Commandment #6. Set-Up Blog: Set-up a blog to support your book. This is not difficult or expensive. By far the best way to do this is to set up a blog with a big company like WordPress. Their blog software is specifically designed to be user friendly, and it works very well with search engines like Google. And through your blog, you can start to build-up your email list of readers that want to follow you. 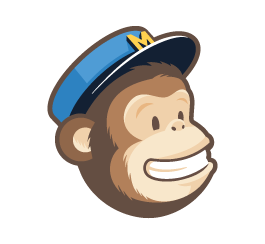 Use an email marketing service like MailChimp to help you manage and exploit this list. Commandment #7. Max-Out Third-Party Websites: Max-out your use of the major websites that list your book. 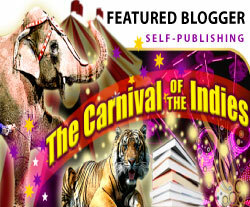 These websites, such as Amazon, allow you to add a large amount of information about yourself and your book. Doing this will be like giving your book another website devoted to you and your book. Take advantage of everything Amazon has to offer the self-publisher. Commandment #8. Avoid Bookstores: Do not waste your time trying to get your book into the bookstores. And do not use a wholesaler or distributor. 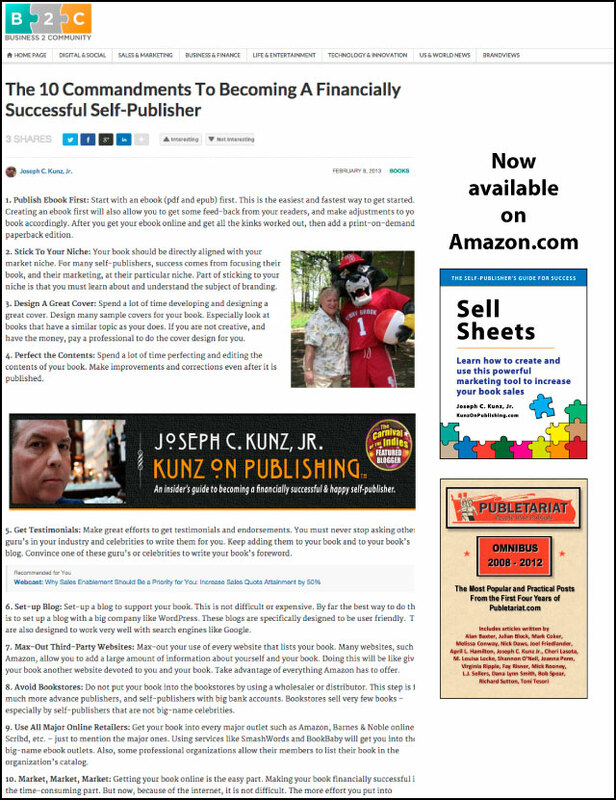 These steps are for much more experienced publishers, and self-publishers with big bank accounts. Bookstores sell very few books – especially those written by self-publishers that are not big-name authors. Commandment #9. Use All Major Online Retailers: Get your book into the major outlets such as Amazon, Barnes & Noble online, and Scribd, etc. Also using a service like SmashWords will get you into the big-name ebook outlets. 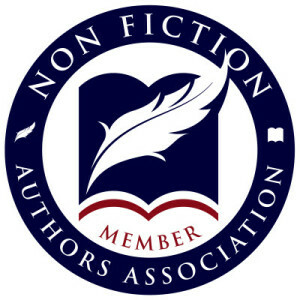 Also, some professional organizations (that you might already be a member of) allow their members to list their book in the organization’s online catalog. Commandment #10. Market, Market, Market: Getting your book online is the easy part. Making your book financially successful is the time-consuming and hard part. But now, because of the internet, you have a fighting chance of making a few bucks with your book. The key is that the more effort you put into marketing and promotion, the more financial success your book will eventually achieve. 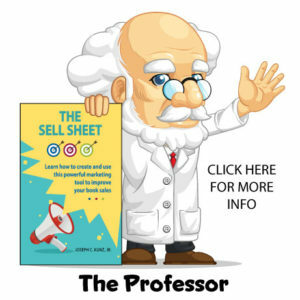 Even if you are not a business-minded person, you will find that marketing and promotion is a very interesting process. 1. 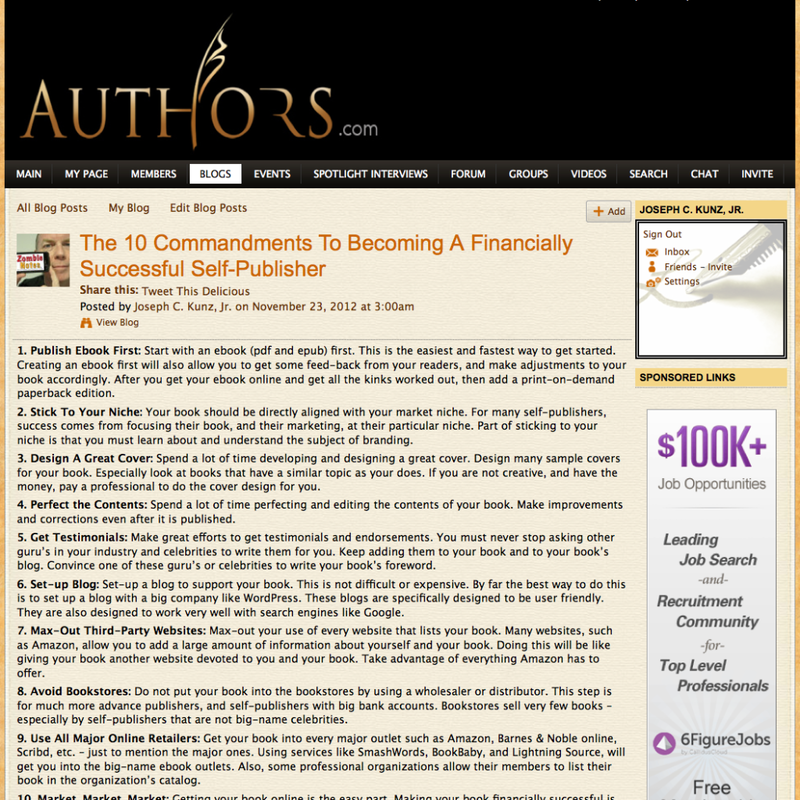 Do you have any personal commandments that you have developed from your own self-publishing projects? 2. Did you find any of these commandments to particularly helpful for your situation or mindset? This entry was posted in Blogging, Bookstore Sales, Design, Ebook, Epublishing, Niche, Podcast, Self-Publishing, Testimonial and tagged Blog, Bookstore Sales, Design, Ebook, Epublishing, Niche, Podcast, Self-Publishing, Testimonials. Bookmark the permalink.